This choir was organized by Debbie Fleming from a long list of singers she has compiled over the years. Each singer was chosen for their sight reading, tone quality, excellent pitch and groovy, easy to get along with personalities. In response to projects for Solitudes and Avalon records, this choir became an established name in the Toronto recording studios. Producers simply present the singers with the sheet music, it is rehearsed once through for markings and dynamics, then recorded. Usually first take is the rule with these very professional and experienced singers, most of whom come from celebrated Toronto choirs such as Tafelmusik, The Toronto Mendelssohn Choir, The Amadeus Choir, Hampton Avenue, and various church choirs. Producers like John Herberman, Matthew McCauley, Michael Maxwell and David Fleuryhave called on Debbie Fleming and this amazing bunch ‘o’ singers for many projects. Country superstar Alan Jackson loved the “beautiful choir” on his CD. ‘Nuff said! In the late 70’s, Debbie was called by Jim Ed Norman, Anne Murray’s producer, and asked to assemble a choir of 20 voices to sing backup vocals for “Broken Hearted Me” which became one of Anne Murray’s greatest hits. Broken Hearted Me. In the mid-eighties when David Foster was in Toronto to perform at The Forum at Ontario Place, he asked Debbie to assemble a large group of backup singers to augment the finale number in David’s show. This group was comprised of the leading Toronto R&B singers of the time, and added a lot of colour and verve to Ontario Place that evening. Debbie was asked to assemble a backup group for Petula’s appearance at the Royal Alexandra Theatre as part of the London Palladium Show. 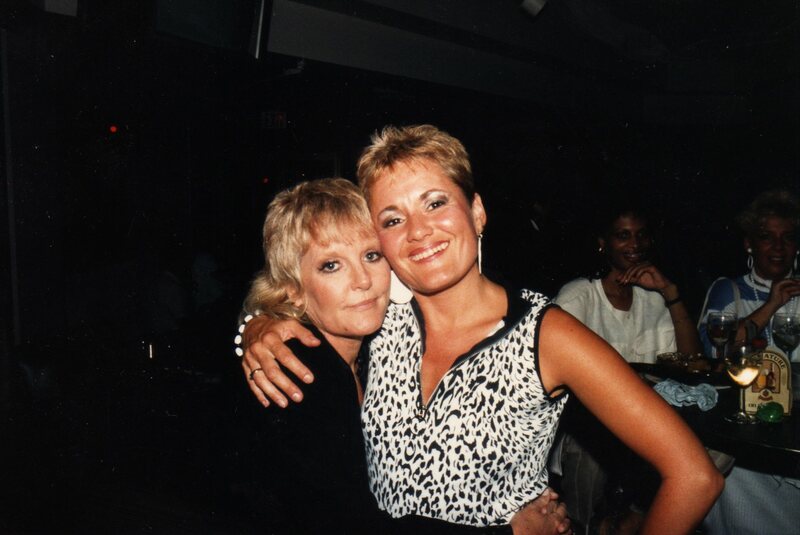 Deb hired Jamie Ray, a crack sight-reader, who, along with Debbie, remained with Petula, touring and singing backup vocals for five years. Debbie was called the morning of Mr. Humperdink’s show at the Okeefe Centre, and asked to assemble singers who were good readers to back up Engelbert that evening – an emergency situation that involved one of his singers being unable to perform. Although the charts were a bit tatty and unclear, the show went off without a hitch, and EH was happy. Debbie was asked to help co-ordinate fifty singers from the Toronto Mendelssohn Choir to provide vocals for the soundtrack of this blockbuster movie. Recorded with famed John Williams at the newly opened Glen Gould Studio at CBC, circumstances were less than perfect for the singers. Mr. Williams had brought a tape of the orchestral tracks with him, but because the studio at that time owned only 4 sets of headphones, it was necessary for most of the singers to sing a cappella to William’s conducting, while four section leads had the luxury of using the phones. Although John Williams was clearly distressed by these difficult circumstances, the resulting track was breathtakingly beautiful. Disappointingly, The Toronto Mendelssohn Choir never was given acknowlegement for their performance in this movie, as the credits had already been finalized before Williams recorded in Toronto. Debbie was called to assemble a large group of singers for the soundtrack of this movie. This group of singers provided the vocals for the crowd scenes, and augmented the sound of the singer-actors already appearing in the film and on camera. The movie has appeared on international TV a number of times. A phonecall from ex-Toronto producer Matthew McCauley, now living in LA, requested Debbie put together a large choir to sing backup vocals on country superstar Alan Jackson’s beautiful “Let it Be Christmas” released in 2002. Debbie called upon her 20 voice “Toronto Studio Choir” that she had used on previous recordings for Solitudes and Avalon Records to add glorious singing to the songs on this CD, including Jackson’s original title tune, “Let it Be Christmas”. Jackson thanked Debbie for the beautiful choir on the album jacket. Ronnie Hawkins called upon Debbie to assemble a group of singers to back him up during this fantastic concert which took place in Peterborough, featuring Gordon Lightfoot as a special guest, along with many other artists such as The Partland Brothers and Jason McCoy. Debbie, Shawne Jackson, Sharon Lee Williams, Lynne Deragon, Patti Janetta and Leah Hawkins all strutted their stuff while singing backups to 40 Days, Mary Lou, Bo Diddley and other songs. Over $100,000 was raised for the flood victims of Peterborough, and the girls enjoyed a stretch limo ride to and from Peterborough, compliments of Ronnie Hawkin’s friend Glen Smith from Kitchener. More recently Debbie has added Backup Vocals on Borealis recordings, under the production of Paul Mills, for Anne Walker, Rob Young, Terry Kelly, Rodney Brown and many others. On her own Back to Bacharach CD, released in 2016, The Hampton Avenue 4 (Debbie, Suba Sankaran, Dylan Bell and Tom Lillington) were featured on two tracks, while Choria was the group which sang other backups on the CD – all vocals arranged by Debbie.